I can't express how much I enjoyed this book. It's a wonderful sci-fi, without being overly concerned with the environmental factors and more driven towards the characters within a mindset that's not too unfamiliar to imagine. This is a true classic which deserves your time. Sci-Fi about a society in which books are banned and must be burned. 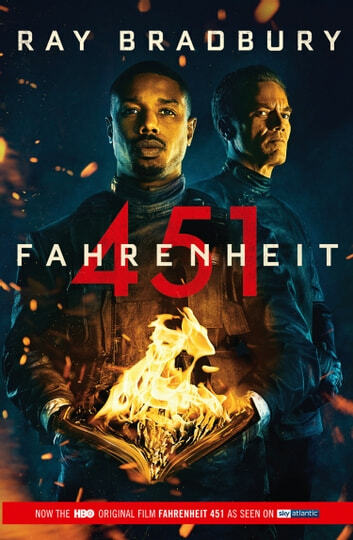 Fahrenheit 451=temperature @ which books auto-inflame. Harrowing, suspense and still very up-to-date. Really great story. Feels like it was written in a hurry and the punctuation and sentence structure is a bit odd, but it is a scarily accurate prediction. Edebi değeri tartışılır ama anlattığı şey gerçekten anlaşılmaya değer. Hakkınıda yemeyeyim güzel anlatıyor.